Call of Duty fans who enjoy Buffalo Wild Wings are in for a spicy treat—the restaurant company is running a promotion to give double XP for Call of Duty: WWII over the next month. Any Buffalo Wild Wings Blazin’ Rewards members are eligible for this promotion, which will run from Oct. 24 to Nov. 30. These 2XP codes will be emailed to the address used for your Blazin’ Rewards account, and they must be used prior to May 31, 2018, according to CharlieIntel. Earning Blazin’ Rewards points is pretty simple, too—every $10 spent on food at Buffalo Wild Wings gives you 100 points. You can also get 10 points for checking in at Buffalo Wild Wings through the Blazin’ Rewards app—and you can get 10 additional points for each friend you bring along. With each code providing 15 minutes of double XP at a cost of 50 Blazin’ Rewards points per code, you can reach the maximum 10 hours with 2,000 points. 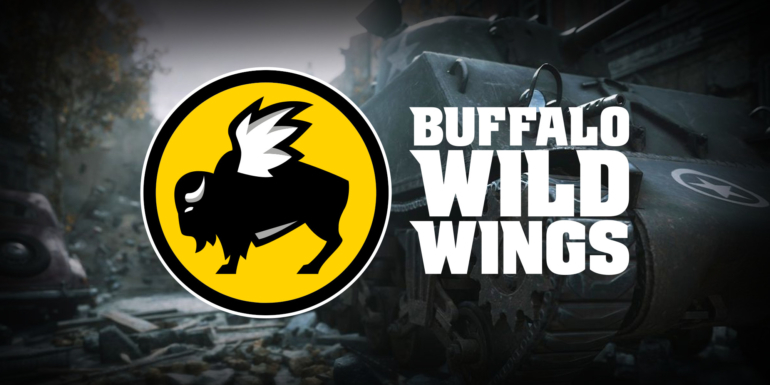 If you want to get as much double XP time as possible from this promotion, it looks like you’re going to need to spend a lot of time—and money—at Buffalo Wild Wings over the next month. Call of Duty: WWII will be released worldwide on Nov. 3.